The Greatest (Maritime) Story Ever Told is unfolding before our eyes. In the marine industry, change does not come easy. Yet, on the eve of the Smart Ship Era, two Kings of Industry have seen the light and have responded with a significant venture that will change the future of Asset Management at sea. What makes this initiative exciting is the strategic change in reliability and availability thinking. 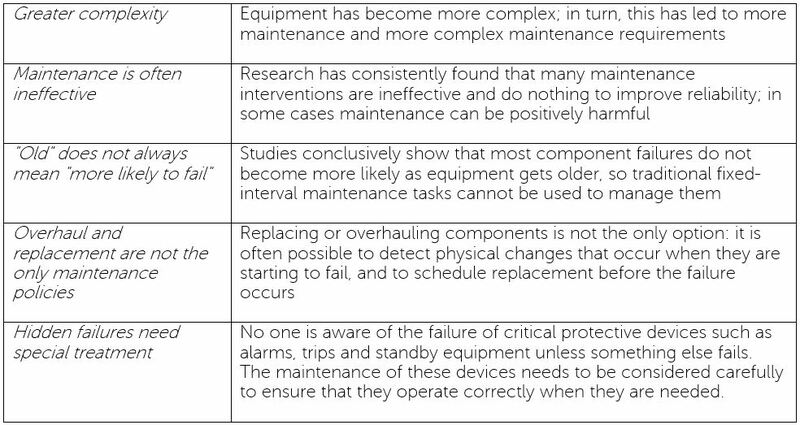 The future of Marine Asset performance will no longer be driven by arbitrary maintenance practices based on isolated failure modelling, but on continuous, experiential improvement of Failure Mode Models driven by on-site sensor feedback and machine/human learning. But change brings both the birth of the new and the death of the old which the former must replace. The new kid on the block, (Marine-specific RCM as touted by RELMAR and termed MRCM) brings with it a change in dogma from an archaic, pre-emptive maintenance methodology to a risk-based maintenance strategy which utilises proactive, predictive, preventive and reactive techniques. Over the past three decades, asset-intensive industries around the world have applied the same techniques to their own equipment. Experience has consistently shown the same results as in civil aviation: RCM maintenance schedules are safe, cost-effective, and they ensure maximum uptime at optimum cost. Marine Reliability-centred Maintenance (MRCM) is an extension of RCM and delivers all the benefits of RCM and is carefully adapted to marine operations and maintenance. MRCM is fully compliant with SAE Standard JA-1011 for Reliability-centred Maintenance. We have experience both at sea and in consulting that enable us to solve the toughest of problems in practical ways. We understand the people and operating practices in the harshest and remotest of industry, traversing Earth’s oceans and drilling on continental shelves.